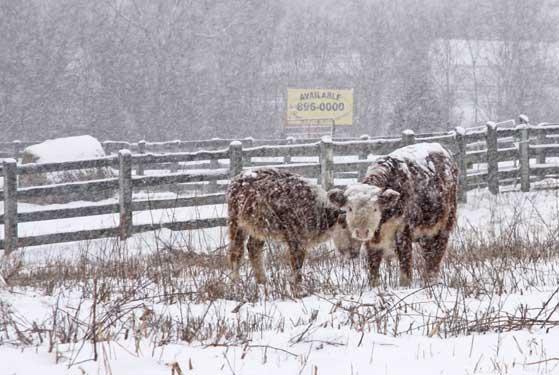 Snow was falling everywhere in Cannon County Friday afternoon, and on every living thing which ventured out into it. The kids enjoyed the flakes, going sledding and building snowmen. The animals might have thought they were just flaky. looks like these boys were having a blast!